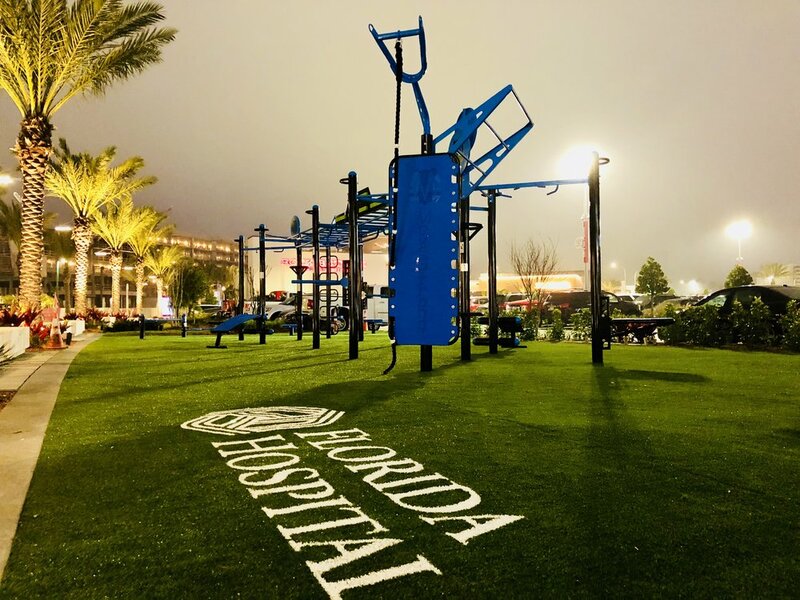 A successful launch to the new MoveStrong FitGround that just opened for the community of Daytona Beach, FL provided by Florida Hospital! 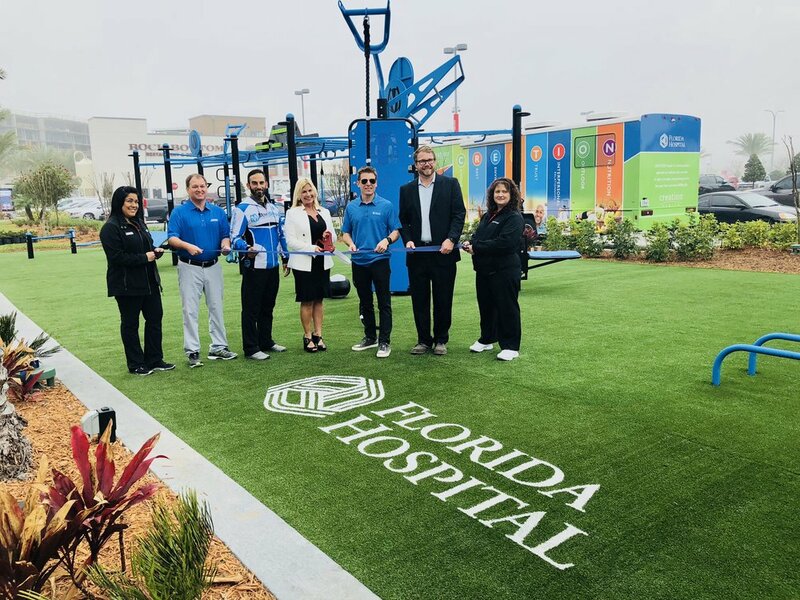 Florida Hospital had their FitPark ribbon cutting during race week just days before the Daytona 500! 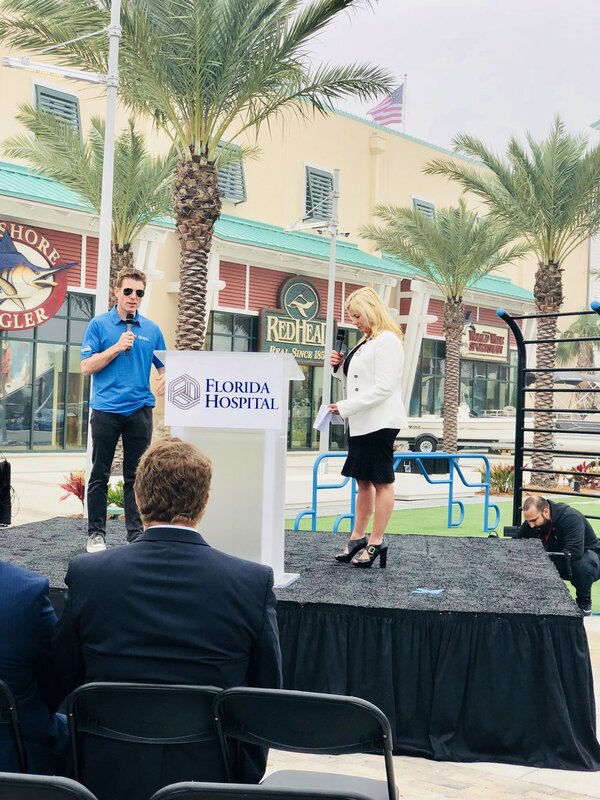 Special guest included executives with Florida Hospital and One Daytona development, Daytona International Speedway President, and NASCAR's Daytona 500 winner Jamie McMurray! 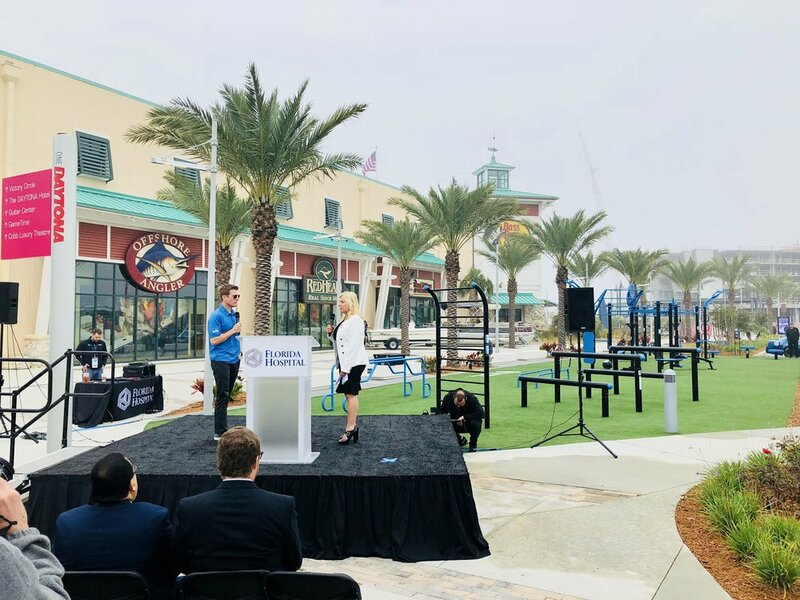 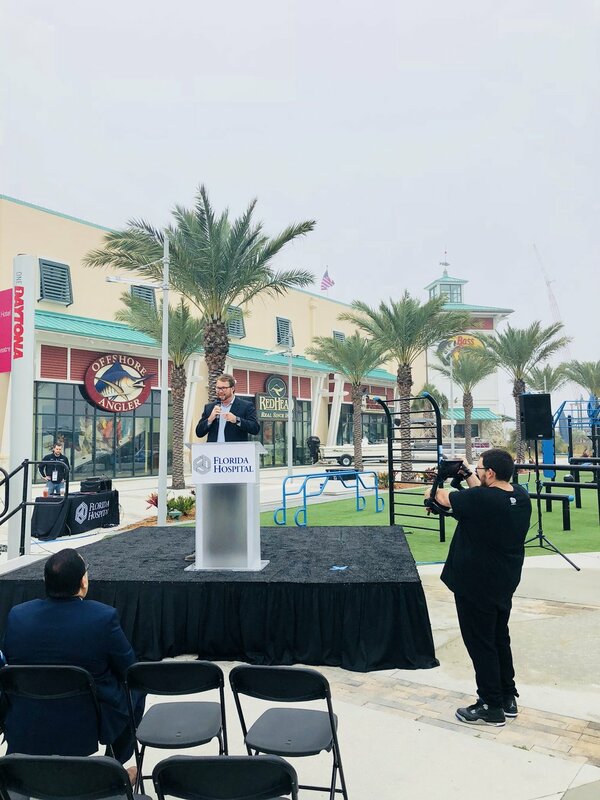 So thankful MoveStrong could play a part in designing and installingthis amazing new outdoor functional fitness amenity for adults as part of the FitPark located at One Daytona. 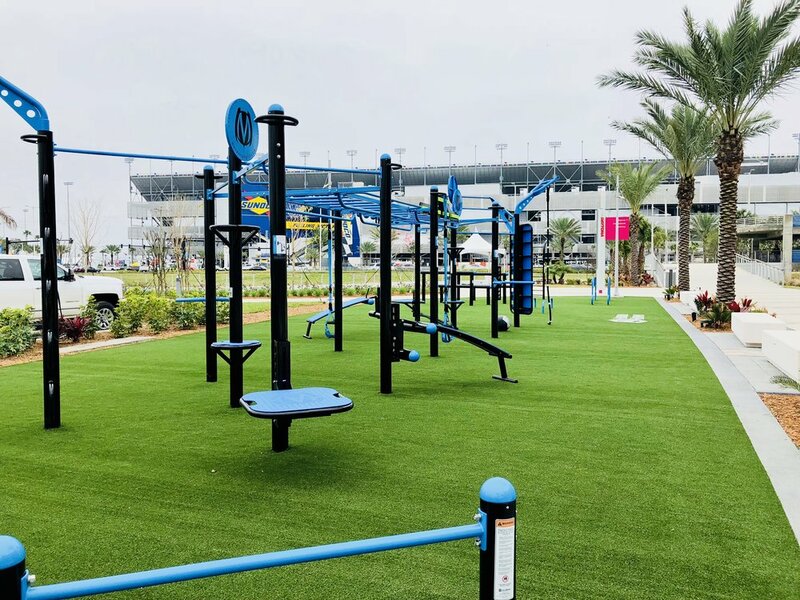 The outdoor fitness area is also part of a 1.5 mile walking/running path and just at the foot of the pedestrian bridge that leads to the Daytona Speedway! 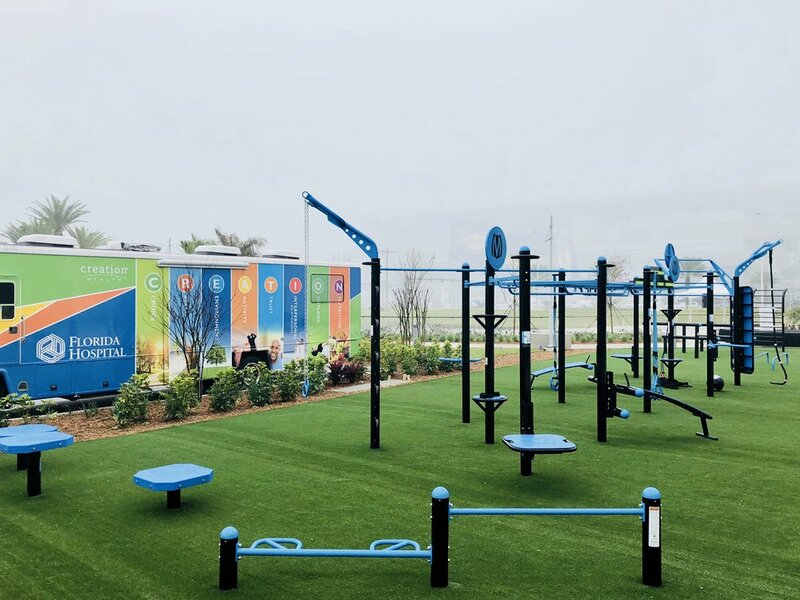 Please stop by and get a MoveStrong workout in if the area or passing by!